Strategic bomber, tactical strike aircraft and reconnaissance plane ? the F-111 filled these roles admirably for the US and Royal Australian Air Forces through several decades of service. This unique machine pioneered many technologies which were later to become commonplace on production aircraft, most notably its variable-sweep wings, afterburning turbofan engines and automated terrain-following radar. 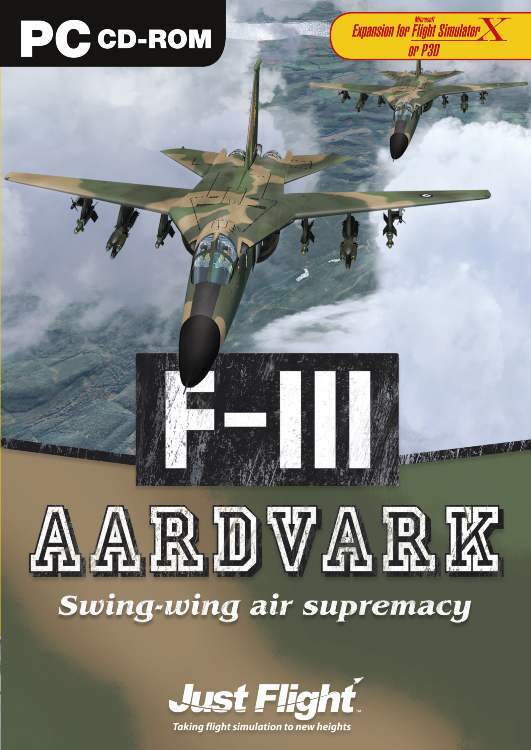 This add-on featuring the USAF F-111A variant and the later F-111C model exported to the RAAF captures perfectly their power and destructive force. Both aircraft feature five liveries, highly detailed model-specific virtual cockpits, the distinctive F-111 variable wing swing and even a functioning cockpit ejection escape pod. The pioneering swing-wing F-111 is ready for Ops!